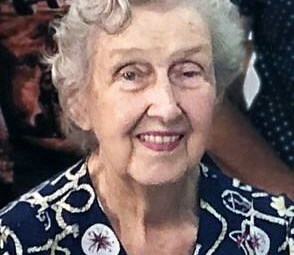 Eileen and husband Arthur Battle, founders of Norgate Transport, were inducted into the National Road Transport Hall of Fame in 2007 and CEO Liz Martin OAM left a touching tribute on Facebook today. Arthur and Eileen Battle started out carting for Malanda Milk on the Atherton Tablelands with a horse and cart. With the increased use of motorised vehicles during and after WWII they bought a Maple Leaf truck followed by a 1942 Ford and later other trucks. Despite the hardships of war they managed to build their fleet. During the war when they couldn’t get fuel and Arthur would run the trucks on gas from wood burners or with ethanol fuel mix. One of their main contracts was to supply milk for the Australian and American armies stationed throughout North Queensland. With rationing on fuel they were not able to get enough fuel to complete the deliveries. The American army arranged for them to be able to get fuel to deliver their milk without using ration tickets. They just signed for it when they were carting milk. If the trucks were used for other types of deliveries ration tickets were still to be used. After an approach was made to the government over road tax it was eventually wiped on milk delivery but still applied on all other loads of freight. Their company, Norgate Transport, has its headquarters in Townsville. Its operations range far afield and are vitally important to the economy of north Queensland. The company has grown from a modest beginning to one that boasts a service station with motel accommodation for their drivers, an aircraft and one of Australia’s most efficient transport fleets. It was, and still is, a real family affair with the company operated initially by Arthur, Eileen, and their children and today by the next generations. The Battle family have always prided themselves on the fast turn-around of deliveries which was essential for perishables. On the early outback roads this proved to be very demanding on tyres, vehicles and drivers alike. Eileen was ever looking at ways to improve productivity and efficiency in their operations so as to give better customer service to their outback clients. One of these initiatives which proved a great advantage to them was an aircraft, which was used extensively to get the trucks running again after breakdowns in isolated areas. Parts could be flown out in a matter of a few hours and the trucks back on the road quickly. Previously some break downs took weeks to rectify. The Townsville depot, where they were based, had its own mechanical workshop which allowed all their work, from complete overhauls to minor running repairs to the trucks, to be carried out. They family also operated fuel depots, road houses, mines. Eileen is remembered for her keen business acumen and her 'no nonsense' approach to managing an empire of planes, trucks, trains and machinery. However, Eileen was also well known for her compassion to family, staff and anyone in need including her pet project the North Qld RSPCA.